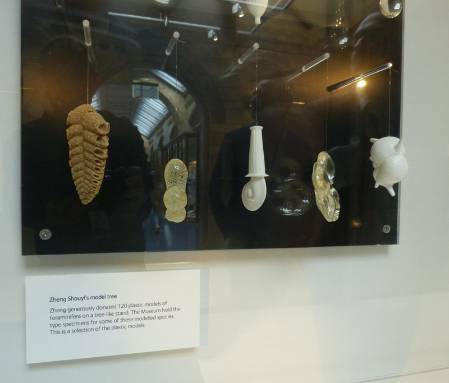 Last month a new temporary display featuring some of our foraminiferal specimens and models was placed in the Museum gallery. 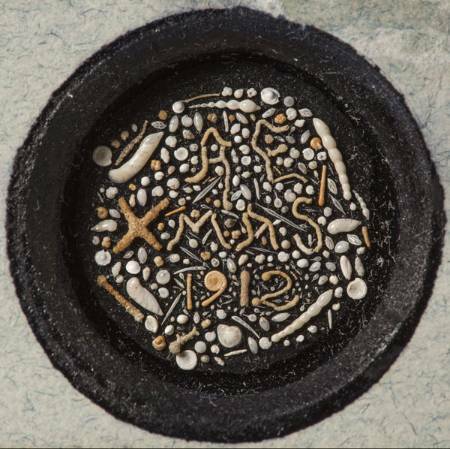 This features real microfossils on one of our foraminiferal Christmas card slides alongside 20 scale models, part of a set of 120 models generously donated to us last year by Chinese scientist Zheng Shouyi. 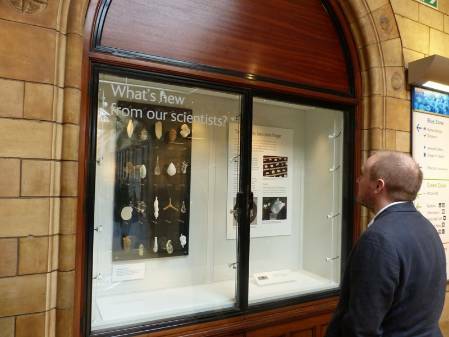 Senior Microfossil Curator Steve Stukins admiring some of the specimens and models on display and thinking "this is a much better place for them than the Curator of Micropalaeontology's office!" As a curator dealing with items generally a millimetre or less in size I have not often been involved in developing exhibits other than to provide images or scale models like the Blaschka glass models of radiolarians. Displaying magnified models is one of the best ways to show the relevance of some of the smallest specimens in the Museum collection, the beauty and composition of foraminifera and to highlight our unseen collections. This display features one of our most treasured items, a slide with microscopic foraminifera arranged in patterns to spell out the words 'XMAS 1912'. A festive slide of foraminifera created by Arthur Earland. This was created by Arthur Earland for his long time collaborator Edward Heron-Allen. A previous blog tells of the sad end to the relationship between these two early 20th Century foraminiferal experts, a story that featured in the Independent under the heading 'shell loving scientists torn apart by mystery woman'. The slide itself is amazingly beautiful under the microscope and a close up view (see above) is shown on the back board of the exhibit. The naked eye can show the arrangement of the specimens on the slide but cannot really pick out the beauty of the foraminifera. I was at a collections management conference about a year ago where it was suggested that the public feel duped by seeing models rather than real specimens on display. In this instance, the scale models serve to show the beauty as well as to enhance the relevance of the real specimens on display. 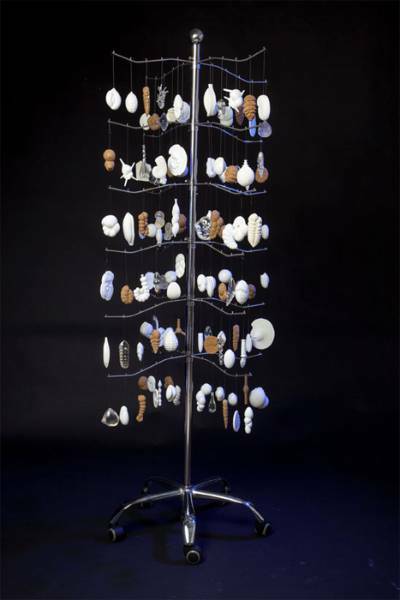 Foraminiferal models by Alcide d'Orbigny that also feature in the display. French scientist d'Orbigny (1802-1857) was the first to recognise that creating models was a good way to show his studies on the foraminifera. 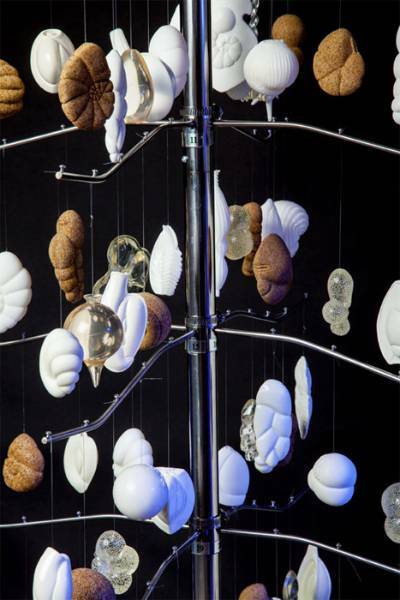 These models were created to illustrate the first classification of the foraminifera, a group that at the time were classified as molluscs. A selection of Zheng Shouyi's models of foraminifera. Chinese scientist Zheng Shouyi was inspired by d'Orbigny to create models of foraminifera to illustrate her work and to show the beauty of the Foraminifera. Of the 120 models she donated to us in 2014, 20 have been carefully selected for this exhibit. The selection shows a variety of different wall structures, a range of shapes, species for which we have the type specimen as well as some species of planktonic foraminifera relevant to current research at the Museum. Zheng Shouyi is also famous for encouraging and overseeing the production of the world's first foraminiferal sculpture park in Zhongshan, China. If you are able to pop into the Museum, please come and see this free display. It is situated just after the exit from the dinosaur exhibition on the opposite wall to the dino shop. We can't promise any giant scuptures but I'm sure that you'll agree that these models certainly illustrate the beauty and help to explain the relevance of some of the smallest specimens hidden behind the scenes at the Museum. We are showcasing our microfossil tree on the Climate Change Station at the annual Science Uncovered event on Friday 26 September. This remarkable item was created and generously donated by Chinese scientist Zheng Shouyi, and in this post I'll explain how it demonstrates the beauty and composition of foraminifera, climate change and our unseen collections. The microfossil tree will be on display at Science Uncovered on the 26 September. A 6ft aluminium stand with 24 arms hangs 120 plastic models of different species of foraminifera and was generously donated to us earlier this year by Zheng Shouyi of the Institute of Oceanology, Chinese Academy of Sciences, Qingdao. She is famous for commissioning and overseeing creation of the famous Foraminiferal Sculpture Park. The models on our tree are magnified 10s to 100s of times. Species modeled are mainly living examples present in the China Sea and described by Zheng Shouyi during her research. Fossil forms have also been chosen to represent the remarkably wide range of shell compositions and structures created by the single-celled foraminifera. Shouyi was originally inspired by the famous French palaeontologist Alcide d’Orbigny, who created sets of models in 1826 to illustrate the first classification of the foraminifera. Everyone who sees our tree remarks how beautiful it is. Zheng Shouyi created them for 'the public to have a share of the diversified and exquisite beauty of the one-celled foraminifera endowed on them by Mother Nature, to inspire scientific, aesthetic and cultural innovations'. Science Uncovered is therefore the perfect venue for us to show this tree in public for the first time. The colours, lustre and textures of the models reflect differences in wall structure and chemical composition of the foraminifera. Most foraminifera are composed of calcium carbonate but the agglutinating foraminifera construct their shells from grains of sand or any suitably sized items available from the ocean bottom. Models representing agglutinating forms on the tree have a sandy texture and mainly a sandy light brown colour to reflect this. Other forms of calcium carbonate secreted by foraminifera include the porcellaneous varieties where the models appear shiny and milky white. Some calcareous foraminiferal shells of are transparent and glassy while others have translucent white shells that can be perforate or imperforate. Models of Cribrohantkenina inflata Howe and Hantkenina alabamensis Cushman. 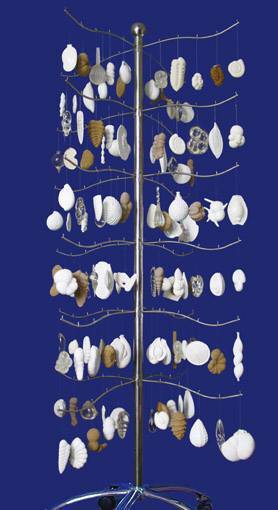 Two species of hantkeninid foraminifera present on the tree illustrate an interesting story of climate change relating to the fossil record of foraminifera. The extinction of the hantkeninds at the Eocene-Oligocene boundary (about 33-34 million years ago) is thought to relate to fluctuations in climate related to global cooling. Because planktonic foraminifera, such as the hantkeninids, secrete their shells from the ocean water they lived in, studying isotopic changes in their shell composition can provide information about past changes in ocean composition that are linked to climate. The modern day distribution of planktonic foraminiferal species is often latitudinally restricted, with some preferring cold polar rather then warmer equatorial waters. Studying assemblages of different species in a sample can therefore give past indications of climate. Zheng Shouyi's model of Globigerinoides sacculifer (Brady, 1877) alongside (right) scanning electron microscope images of lectotypes and paralectotypes of the same species from our collections. Images published by Williams et al. (2006) in a paper that I co-authored. Large numbers of specimens can be recovered from relatively small core samples drilled from the ocean bottom, such as the core that we are showing at the Science Uncovered Event. 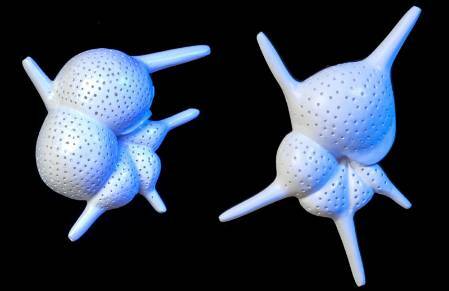 This makes planktonic foraminifera key to studies in past climates based on the marine stratigraphical record. The tree includes 11 examples of species for which we hold the type specimen. 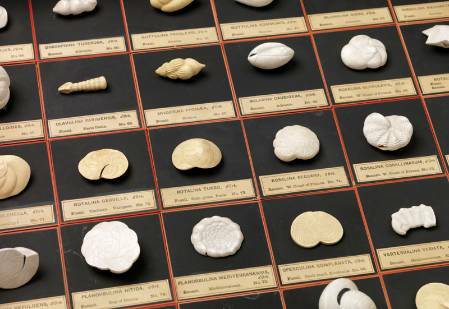 These include examples from historically significant collections such as Brady’s foraminiferal types from the Challenger Collection, the Heron-Allen and Earland Collection and W. K. Parker's types. We think our microfossil tree fits perfectly with the idea behind Science Uncovered, where scientists come out from behind the scenes to share science and collections that the public would not normally see or perhaps realise existed. If you are in London on 26 September we hope you can come and join us on the Climate Change table under the Darwin Centre cocoon for Science Uncovered. Where can you find a giant sculpture of one of our type species? The answer is in the world’s first foraminiferal sculpture park in Zhongshan City, China. Remarkable Chinese scientist Zheng Shouyi has gained international recognition for her work on the Foraminifera of China and was responsible for encouraging the building of this sculpture park. Just before Christmas, a book chapter written by myself and entitled 'A brief History of modelling of the foraminifera from d'Orbigny to Zheng Shouyi' was published in a Special Publication of the Micropalaeontological Society on 'Landmarks in Foraminiferal Micropalaeontology, History and Development'. This post highlights the remarkable work of Zheng Shouyi who has shown publically what is hidden behind the scenes of many research establishments like the Museum and touches briefly on some of the microfossil model collections we have here at the Museum. The sculptures are magnified between 750 and almost 9,000 times, with some based on species for which we hold the holotype specimens. The example above shows Pseudononion auriculum (Heron-Allen and Earland, 1930) while other sculptures represent species described by Brady from our Challenger Collection. 114 large stone sculptures of Palaeozoic to modern foraminifera have been sculpted from marble, granite and sandstone over 5 years under the guidance of Zheng Shouyi. 32 locations and establishments in China, Austria, India, South Korea and the Philippines, have copies of Zheng Shouyi’s models and sculptures. The idea for a sculpture park was first suggested by Bilal Haq of the National Science Foundation in USA when he saw Zheng Shouyi’s models in her office in the Institute of Oceanology in Qingdao, China. 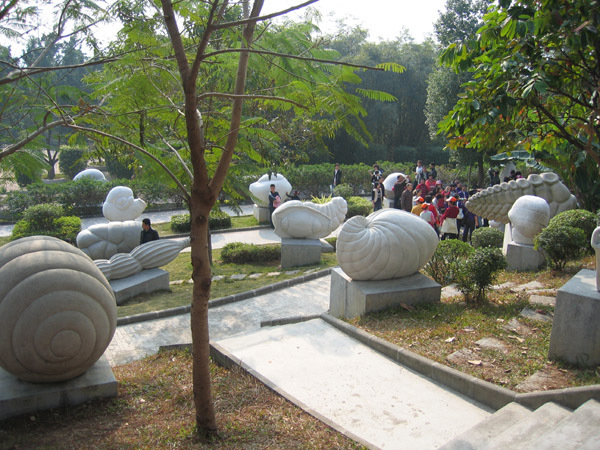 Zheng used her local political influence to persuade authorities in her home town of Zhongshan to create “Sanxiang Foraminiferal Sculpture Park” that opened in 2009. The Smithsonian Magazine has listed the park as one of its top 10 Evotourism sites. Zheng Shouyi was born in the Philippines to Chinese parents in 1931 and moved to China following her university education. She discovered foraminifera during her graduate studies and reports 'love at first sight of the beautifully diverse tests of Foraminifera'. She was assigned to work on the taxonomy and ecology of Recent Foraminifera of the Chinese seas, using some 1700 water and sediment samples collected from 1958-1960 by the National Comprehensive Oceanographic Investigation from sampling sites ranging from the cold temperate northernmost Bohai Sea to the South China Sea. She was presented the 2003 Joseph A. Cushman Award for outstanding contributions to foraminiferal studies in recognition of a career that established her as the foremost Chinese Foraminiferal micropalaeontologist. In 2009 she was the only woman to be honoured as one of the top ten outstanding returned overseas Chinese. 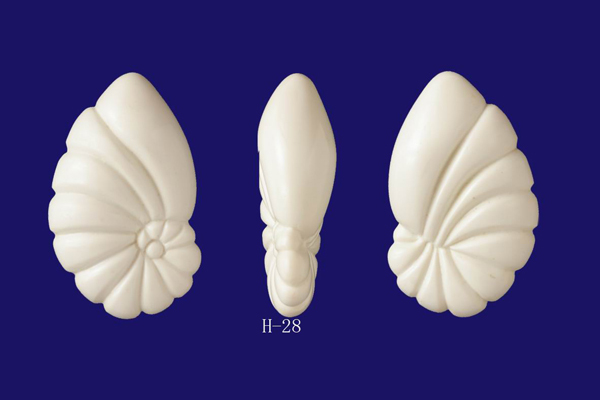 Inspired by the famous French pioneer of foraminiferal studies Alcide d’Orbigny (1802-1857) and the models he used to illustrate his work, Zheng has also created plastic palm-sized models of 250 species of foraminifera belonging to 192 genera. Zheng Shouyi's models would look amazing in our public galleries and showcase some of the Museum science and collections not normally reflected by the displays at the Museum. 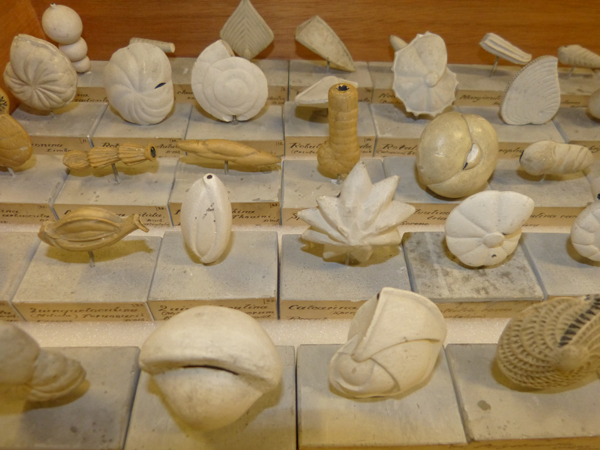 Some of the models of foraminifera from our collections made by d'Orbigny in 1826. Yellower models are based on living species while fossil species are modelled in white plaster of paris. I am currently in negotiation with Zheng Shouyi about acquiring a 120 piece set of Zheng Shouyi's models to complement the microfossil models, like those of d'Orbigny that we have in our collections, support ongoing research into modelling foraminifera and to go on display to illustrate Museum science and collections. 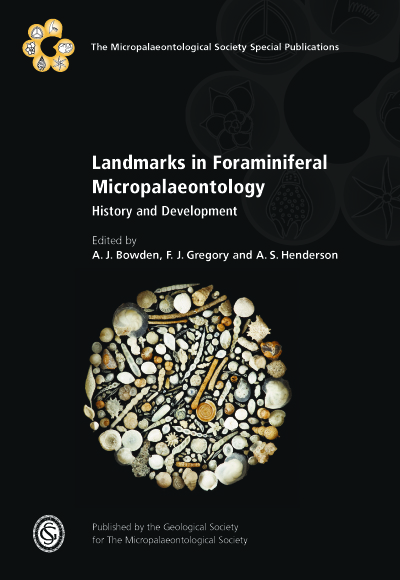 The front cover of 'Landmarks in Foraminiferal Micropalaeontology' features some microfossils from our collection and the final chapter illustrates many of the microfossil model sets we have behind the scenes. If you would like to find out more about Zheng Shouyi, Alcide d’Orbigny or Heron-Allen, arguably the man responsible for the nucleus of the Museum’s amazing micropalaeontological collections, then the book entitled 'Landmarks in Foraminiferal Micropalaeontology, History and Development' is now available.